Mortar Life has been operating since 2006. Prior to that, I owned a sub-contracting carpentry business called Neil Alan Contracting. I began my carpentry apprenticeship in 1994 with LF Hatton Home improvements. During my apprenticeship years I gained extensive experience in not only the domestic industry but also in the commercial industry, building factories, workshops, cafés and unit developments. After completing my apprenticeship I immediately set out to gain as much knowledge and experience as I could by starting my own business and working for a number of reputable architectural builders around Melbourne. During these years I refined my skills as a boutique builder by managing all carpentry and building requirements. Some of these projects were cutting edge in not only design but construction methods as well. As the son of a plumber I started working for my father on weekends and holidays from the age of 12 years old, during these years I was taught a very strong work ethic which I maintain on a daily basis. This also gave me a very good base of building knowledge for starting my Carpentry apprenticeship. In 2005 I completed my building practitioner registration/licence DB-U 24231 (Domestic Builder – Unlimited). Since obtaining my registration I have been part of the Building Practitioners Board accreditation program called CPD (Continuing Professional Development). I believe the CPD program is a great way to evolve as a builder, to continually improve my building knowledge by participating in industry conferences, trade nights and industry courses throughout each year. Mortar Life are also a Green living accredited Builder through the MBAV (Master Builders Association of Victoria). This is a great way to keep up to date with the latest trends in green living. We like to implement cost efficient energy saving solutions to every project we are involved in. The most effective way to achieve the best possible outcome is at the plan stage, where we can implement strategies through clever design and orientation. In 2006 I registered Mortar Life Quality Builders P/L and have been owner and director since. As a small boutique building company we aim to give our clients the best building experience possible. We offer a complete range of professional tradesmen and will build your new home, extension or renovation from conception right through to completion. We are Quality focused and will only hand over a job once both the client and myself are 100% satisfied with the finished product. As the director/owner of the company I feel that the buck stops with me! That is why I take the responsibility of all quality control measures, OHS requirements and all project management procedures. Communication is a vital part of our service. Our clients are kept updated throughout every stage of the project. I am more than happy to meet on site weekly or fortnightly to go over the works and talk about the next stages. I believe in creating a relationship with clients, I do not believe in leaving the decision making up to middle management or supervisors. What “Mortar Life” means to me. Building has been the most major part of my life, for as long as I can remember I have been around construction. As I mentioned earlier my father was a plumber and for extra income would construct small unit development projects with his father who was also a registered builder. I think it was inevitable that I would be in the construction industry in some shape or form. Although I enjoyed plumbing in my early years I was always amazed at and in awe of the builders that were around me. I was always extremely interested and excited in the technical side of construction, the processes involved and the strong work ethic they possessed. Even to this day I get a huge kick out of completing a project that originally started as just an idea. The word MORTAR represents bricks and mortar, which is the most common of building products. The word LIFE represents you, me, everybody. Everybody lives their life in a house, I want every client of mine to love where they live. I will achieve that through Integrity, Professionalism and a highly skilled and motivated construction team. For most of us our house is the biggest investment we will ever make, I believe in protecting that investment through quality design and construction. Mortar Life Quality Builders P/L are a boutique home building specialist with extensive experience in the construction of single and double story extensions, complex architectural construction methods, new homes, home improvements and renovations, luxury house building and many more construction services. Mortar Life Quality Builders P/L is a small boutique building firm; we focus on quality workmanship and customer service. Being a small company means for you the client a service like no other, a service where you are kept informed 100 % throughout the project, a service where we work tirelessly for your satisfaction. Please see below a process map of what services we can provide. Contact us– Just click on contact us and leave your contact details and a message and we will get back to you ASAP. Consultation– Once we are in contact, we will arrange to meet to discuss your works and explain our services. At this stage we can discuss your plans that you may already have or we can arrange a consultation with our in-house designer. 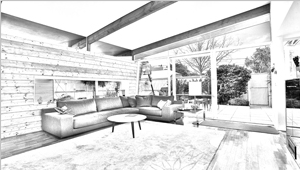 Design Consultation – This is where you meet with our designer and discuss your ideas, vision and needs for your renovation, extension or new home. Cost Analysis– Mortar Life quality Builders P/L can then supply you with a cost estimate based on the preliminary plans and specifications. We can then see where the costs are associated and compare them to your individual budget. Prepare Quotation Documents– After the designer and yourself have worked through the design and budget restraints the designer will then prepare the detailed plans and specifications ready for a fixed quotation. Detailed quotation – Once we have received your new plans and specifications Mortar Life can then supply you with a comprehensive detailed quotation based on your new documents. Our company uses an innovative project platform to not only accurately quote in great detail, in an easy to understand fashion for the client but it also helps run jobs by recording cost schedules, manage employee’s and sub-contractors, produces Invoices, record and print variations – if required, material order forms, Records BAS information and many more daily activities builders need to successfully run projects. 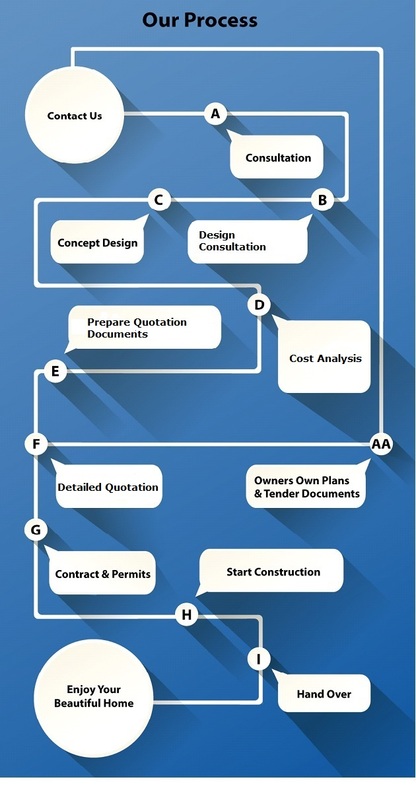 Owners Own Plans and Tender Documents– If you already have your own plans and specifications great. We welcome customers just like you. After initial contact we will come out and meet you on site to discuss your project, Mortar Life will then supply you with a comprehensive detailed quotation based on your tender documents. Contracts and Permits– After all parties have agreed on all costs and scope of works we will then organise contracts, Home Warranty Insurance and permits. Start Construction– We will now start construction of your new project. During construction you can expect to be kept regularly up to date with all progress and depending on your own availability we will have on site meetings every one – two weeks and will constantly keep you in the loop via email, phone conversations and our project management software. Hand Over– Once we have completed your project we will then officially hand over the property to you with all the relevant documentation and certificates included in your hand over kit that supplies you with all your property maintenance information. A word from the director:- We are a Quality focused company and will only hand over a project once both the client and I are 100% satisfied with the finished product. As the director/owner of the company I feel that the buck stops with me! That is why I take the responsibility of all quality control measures, OHS requirements and all project management procedures. Mortar Life, although a small boutique building company, do offer an in-house design service. Be it a renovation, extension or brand new house we can design a home to suit your individual needs. We also welcome clients and architects who have already organised their own designs, plans and specifications and are looking for a reputable Melbourne builder to tender and construct their project. For those clients who are not sure on how to begin we are more than happy to assist with any questions you may have and can arrange for a consultation with our designer. Mortar Life Quality Builders P/L are big believers in sustainability; we are MBAV Green Living Accredited and are regularly kept up to date with the latest trends in building. The biggest message we like to get through to our clients is the use of good orientation when designing their new home or renovation. Well-designed dwellings are imperative to maximising the sustainability of any home. The use of sustainable materials where possible and most importantly well insulated floors, walls and ceilings. We use rubber sealed double glazed windows and doors and minimise any heat gain or loss through any gaps, holes, fans ect by sealing them. We also make good use of harvested water by storing it in tanks and using it to water gardens, flush toilets and in some cases wash clothes.